This trip was so awesome it deserves its own page! 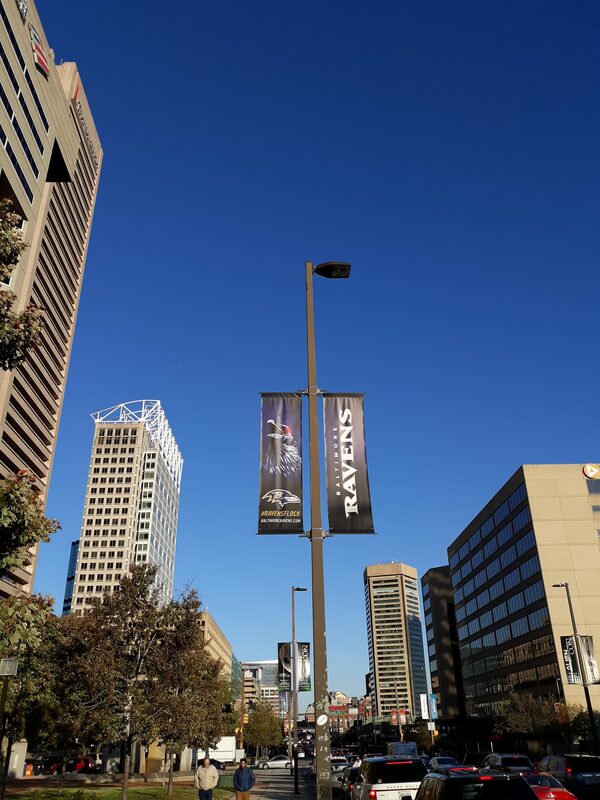 In 2018 from November 9th to November 11th me and my bestie, Michelle, spent time in downtown Baltimore, Maryland. 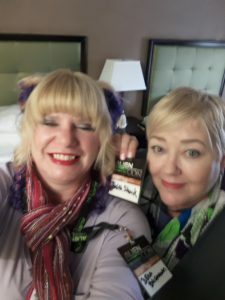 We attended AlienCon during the day and checked out the nightlife after that. Below are pictures and videos of our adventures. 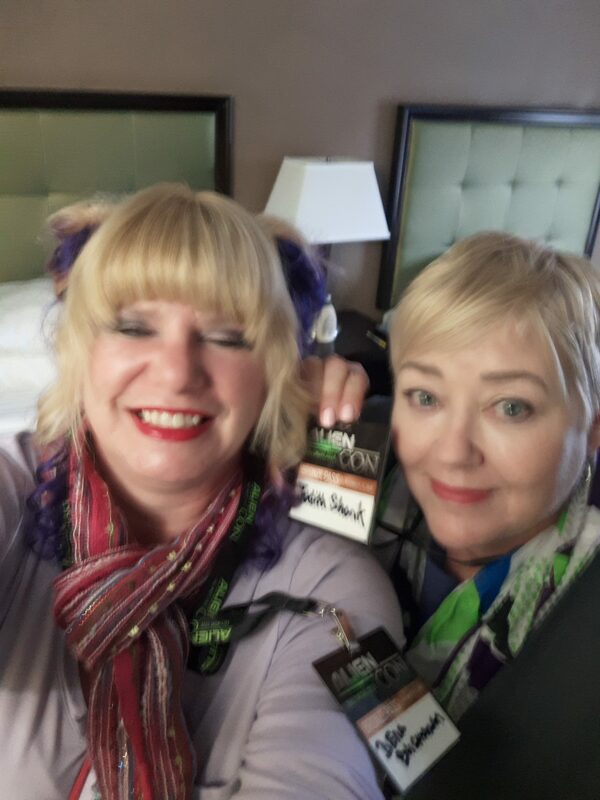 We had such a great time meeting new friends at AlienCon and I was elated to be able to speak with the stars of the television show Ancient Aliens . I watch this show regularly. If you haven’t already seen it you should check it out on the History channel (link attached.) More about the TV show below. 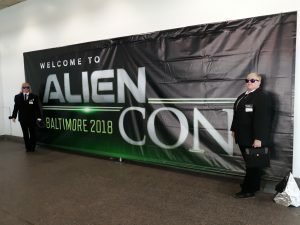 When I asked Michelle to go with me to AlienCon she was excited to be getting out of Virginia, maybe not that excited about AlienCon. But, being the trooper that she is, she went along with me and we had a great time. We stayed at the Days Inn less than a mile away. So close we could see the doors to the convention center. This was extremely important because driving in Baltimore is not for the weak at heart; or weak at the wallet. Parking is ridiculously expensive so we just parked the car in the hotel garage (for a fee of $30/day) and used Uber. 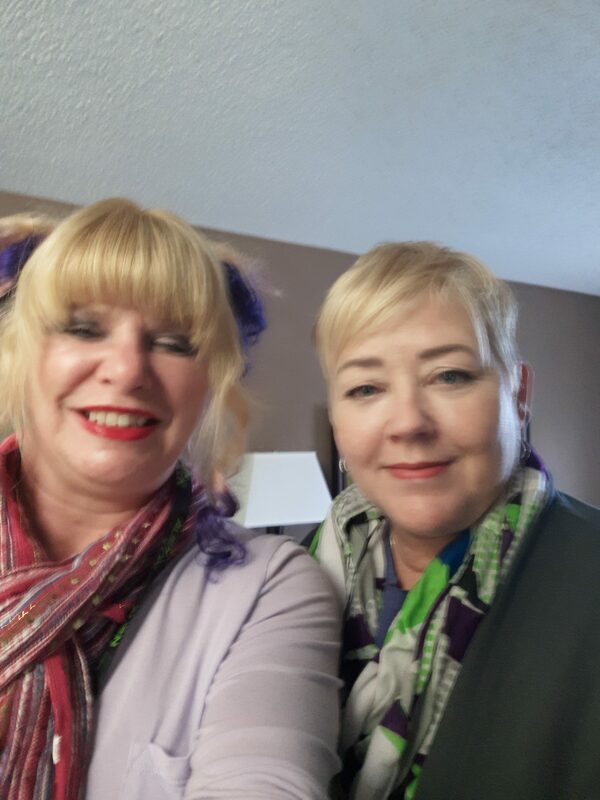 We used Uber when we went to Washington, D.C. for the Lady Gaga concert last year and had a blast with the drivers. Not only do they know all the shortcuts, but they also provide an interesting locals perspective that’s always helpful when you’re a tourist. Prices were decent during the day but tripled that night trying to get to the hotel after the concert. 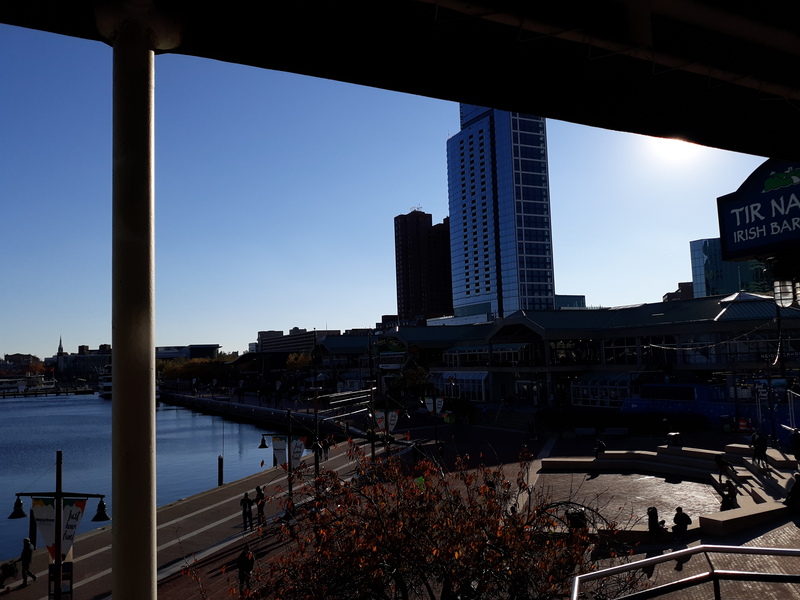 Shown below are some pictures and videos of our time at the Baltimore Convention Center, the Inner Harbor, and Power Plant Live! an area about 10 minutes from the hotel that housed numerous nightclubs, restaurants and live music. 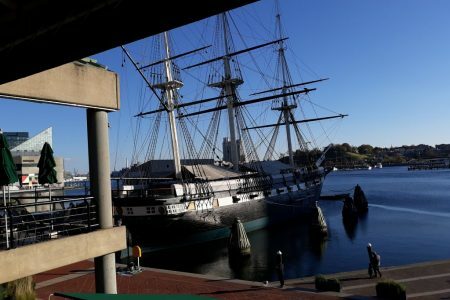 Definitely worth checking out next time you in Baltimore. View from the Days Inn to the Baltimore Convention Center. They provided great customer service. 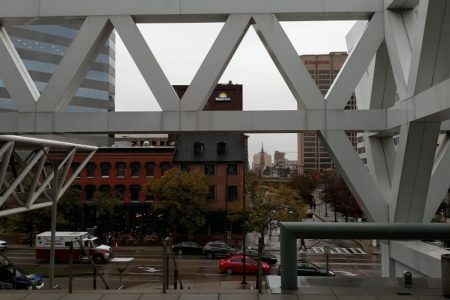 View from the Baltimore Convention Center to the Days Inn where we stayed. 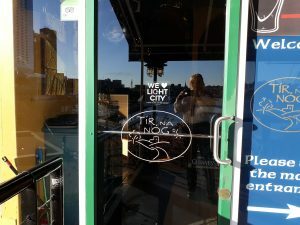 Tir Na Nog Irish Bar and Restaurant. Link on the picture. Stop by and have a cold pint and an awesome Rueben! Just chilling at the Irish Bar on a beautiful day! Here are a couple of little snippets of the conference. They are the only ones I was able to embed on the page as the others are too big. 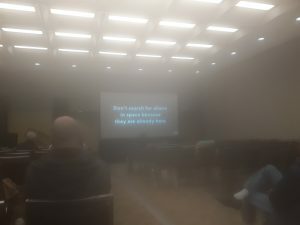 I was sitting towards the back so you may want to turn up your volume and make the screen bigger. And I had the GoPro on my wrist so it’s very shaky! (Sorry in advance) You can check out the other longer videos under the YouTube video page. Ladies in Black taking over, complete with the Neuralyzer so no one remembers we were there! 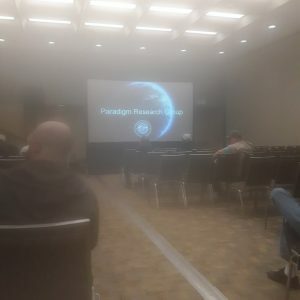 We attended this seminar on Friday where Travis Walton explained his abduction experience that he had in 1975 when he encountered a space ship and was brought on board. He compares his real-life experiences against the movie “Fire in the Sky” which was based on his story. 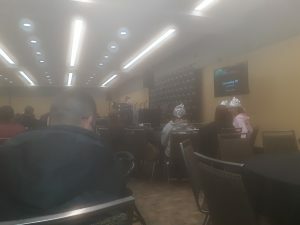 One of the many lectures offered: “Channeling 101” How to contact and connect to extraterrestrials. Unfortunately, we didn’t make the whole lecture (or get our snazzy tin hat) which was a shame. “Representing the people’s right to know the truth regarding an extraterrestrial presence engaging the human race.” For more information click on the picture to go to their website. 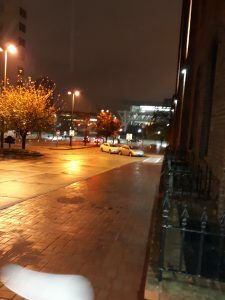 How could we be in Baltimore and not check out the Night Life? 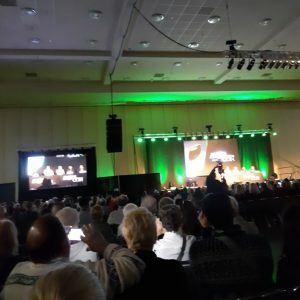 As the AlienCon presentations ended at roughly 5:00 pm each night we had plenty of time to stroll around the town and try a couple of different restaurants. 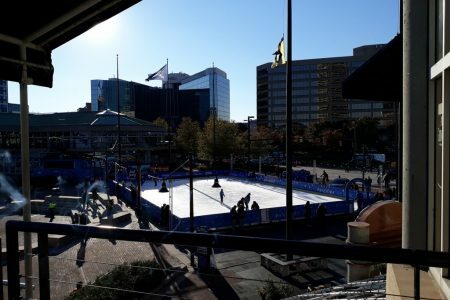 Since it was Saturday night we decided to step it up and see what kind of live entertainment Baltimore offered. The Pratt Street Ale House is directly across from the convention center and was the obvious choice for dinner on Friday night. 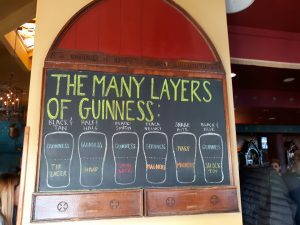 The restaurant had a cozy pub feeling and the service was great. We sat in the upstairs bar area and there was a weird smell but not overbearing. It smelled like the beer kegs needed to be cleaned or something. The food was excellent but a little overpriced which was to be expected considering our location. The Truth is Out There. We’re gonna help you find it. 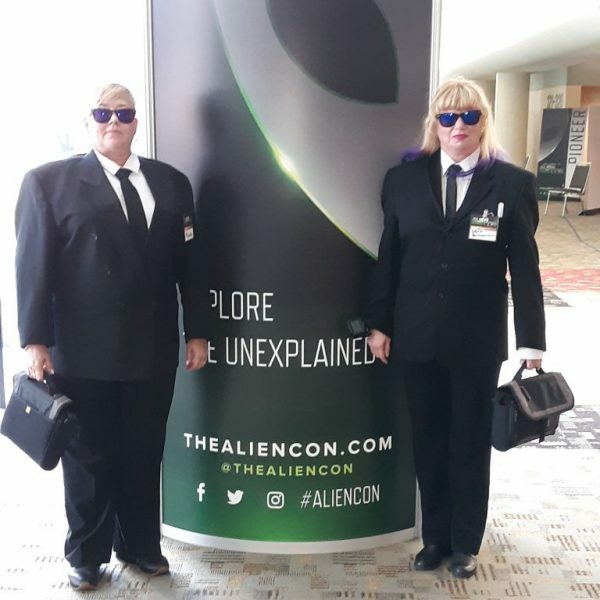 As this is my first AlienCon, I can verify that everything they said is correct. I will be sharing my experience through dialogue and pictures throughout this page. I’ve been watching Ancient Aliens probably since it came out in 2010. The show is based on the theory began with Erich von Däniken’s book “Chariots of the Gods” in 1968. Although he had written other books, it seems like this book caused the most controversy with people saying that he made statements in his book that threatened peoples pre-conceived notions on how the world works and how we are all connected to the universe (aka GODS). The reality of it was that he used question marks (?) to express his thoughts and provoke the readers to re-think their beliefs. 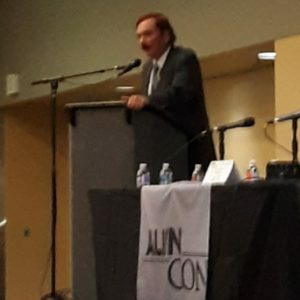 All of the stars of Ancient Aliens bring something interesting to the show as they have a plethora of ideas and theories. The sites that they travel to are stunning. These include, but are not limited to a lot of sites that you probably have already heard of: the Sphinx and pyramids at Egypt, Stonehenge in England, Easter Island; governed by Chili, Teotihuacan in Mexico City; and numerous sites in Peru to include Machu Picchu, the Nazca Lines, and Cuzco. These episodes educate the watcher to sites that they may never have heard of also including Petra in Jordan which has giant structures carved into stone cliffs; Angkor Wat in Cambodia which still serves as a Buddhist monastery today and the arguably the oldest structure found to date, Gobekli Tepe in Turkey; having been founded 11,500 years ago. The take away is this: even if you don’t believe that we have been visited by aliens in the distant past and in the present time, Ancient Aliens is still worthy of checking out in for nothing use that the information that it provides. Despite its name, Ancient Aliens and it’s contributors educate observers on more than just extraterrestrial visitation. It covers history that you have heard about and enlightens the viewer on theories and speculation that are based on the fact that really make you re-think all the things you thought you knew. I know it opened up my mind and I’m excited to share this info with my family and friends. I guarantee you will learn something new and be entertained with any episode you watch.